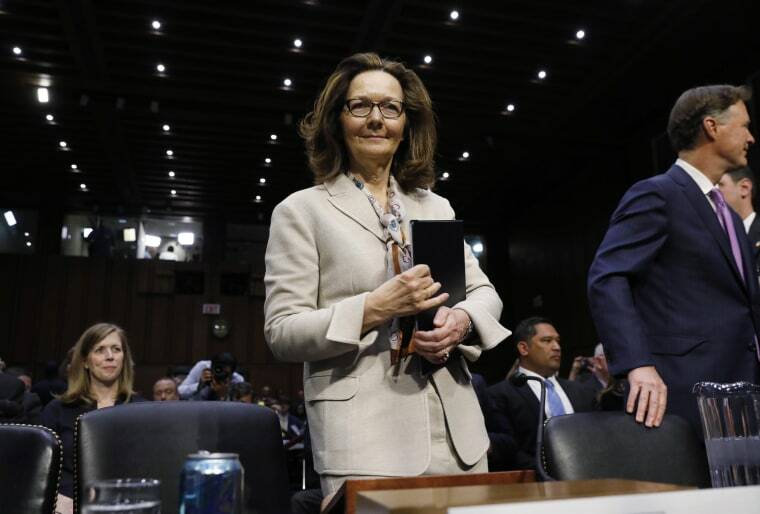 The panel voted 10-5 to advise the full Senate to confirm Haspel, whose nomination has renewed debate over the harsh interrogation program the CIA conducted on terror suspects after 9/11. Haspel, who supervised a CIA detention site in Thailand in 2002, has told Congress that the agency shouldn't have used those harsh tactics and has vowed not to restart them. "Gina Haspel is the most qualified person the president could choose to lead the CIA and the most prepared nominee in the 70 year history of the agency," said Chairman Richard Burr, R-N.C. "She has acted morally, ethically, and legally, over a distinguished 30-year career and is the right person to lead the agency into an uncertain and challenging future." She also had the support of the committee's top-ranking Democrat, Sen. Mark Warner of Virginia. "As director of the CIA, Gina Haspel will be the first operations officer in more than five decades to lead the agency," Warner said. "Most importantly, I believe she is someone who can and will stand up to the president if ordered to do something illegal or immoral — like a return to torture," he said. Sen. Ron Wyden, D-Ore., who has staunchly opposed Haspel, called her nomination one of the most "self-serving abuses of power in recent history" because Haspel, as acting CIA director, was in a decision-making role in determining what parts of her undercover career were declassified. He likened that to a "stacking of the deck" and said he would continue to seek the declassification of details about her past activities at the agency. The interrogation program became one of the darkest chapters of the CIA's history and tainted America's image worldwide after the Sept. 11 attacks. Haspel has not disclosed any details of what she did in connection with the program or say whether she thought it had been immoral. Attention now turns to the vote by the full Senate, which has yet to be scheduled. Haspel has already won the backing of several Democrats. They include Mark Warner of Virginia, Joe Manchin of West Virginia, Joe Donnelley of Indiana, Bill Nelson of Florida and Heidi Heitkamp of North Dakota. The only Senate Republicans who are not expected to vote for her are Kentucky's Rand Paul and Arizona's John McCain, who is battling cancer and is not expected to be present for the ballot.